Breakthrough Basketball Shooting, Ball Handling & Finishing Camp in West Richland, Washington! We're pleased to announce that we have arranged for Nate Bowie to come to West Richland, Washington to run a 3-day skill development camp. This is a hybrid of our popular "Shooting" and "Ball handling & Finishing" Camps. Coach Nate Bowie is currently the Head Men's Basketball Coach at Mt. Hood Community College outside Portland, Oregon. 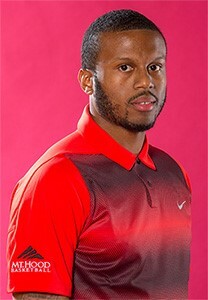 Coach Bowie has been involved with Breakthrough Basketball for the last three years, assisting at camps around the Kansas City area, as well in Portland. Coach Bowie played eight years of professional basketball in Africa, Canada, Europe, the Middle East and the United States. He played in NBA D-League, Canada, NBA Summer League, Morocco, Slovenia, Spain, Portugal, Qatar, The Republic of Georgia, Ukraine, Turkey, Greece and Kosovo (Balkan League). Nate was named 1st Team All-Metro, 1st Team All-State and was the 5A Sub-State Champion in Kansas in 2004 before finishing fourth at the state championships. During the 2004 season, Bowie scored 42 points in a game to break the single game record held previously by NBA veteran Earl Watson. Otherwise there is a $97 fee to attend as an "observing coach". You will get to learn new drills and techniques from Nate Bowie, just like all the players and other coaches in attendance. Visit this link to reserve your spot as an observing coach. If you have any questions, don't hesitate to email us or request a phone call.